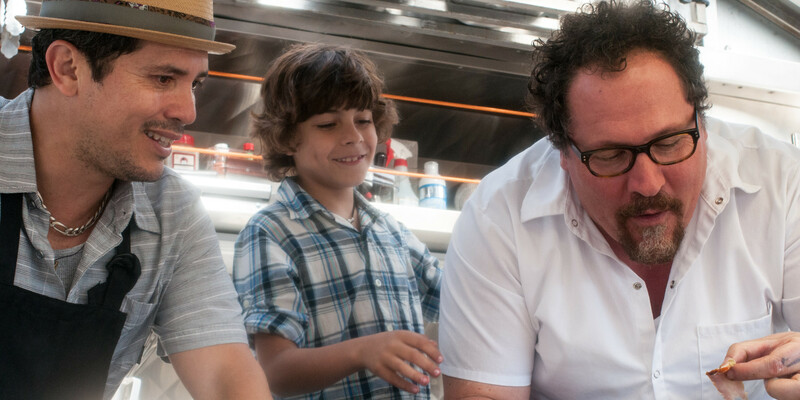 Chef (2014) had two main draws for me: the stellar star-studded cast, and the fact that Chef was the brainchild of Jon Favreau, who wrote, directed, and starred in the film. Jon Favreau’s much earlier film, Swingers (1996) is a personal favourite of mine; it starts out quite shallow but as the film goes on the characters are revealed to be much more complex and perhaps sadder than previously thought. By the end of the film, Swingers had captured my heart in a way few romantic comedies had. So the prospect of another indie film from Favreau with his complete creative control had me very excited. His Iron Man films are great, but somehow lacked the identity displayed so fervently in his indie films. 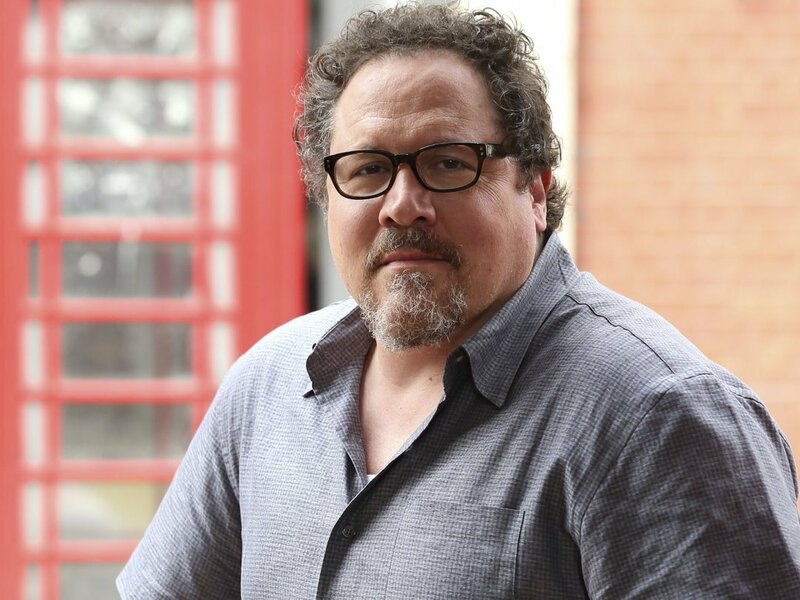 Jon Favreau, the writer, director, and main star of Chef. Whilst Chef isn’t quite as great nor as compelling as Swingers, it has the emotional core that spoke to me, and a cast of great nuanced characters. Favvreau plays Carl Casper, a celebrity chef of a Californian restaurant. When his boss (Dustin Hoffman) constricts his creative freedom and tells him to cook the normal menu for important food critic Ramsey Michel (Oliver Platt) and Casper gets one of the worst reviews of his career, Casper explodes at Michel on Twitter and in person. The feud becomes viral. Casper quits his job… and it all sets off from there. I couldn’t help but feel that the scene in which Casper rants psychotically at critic Michel was a running commentary on film criticism. Casper is saying what I think Favreau probably felt after directing the not-so-well received Iron Man 2 (2010) and Cowboys & Aliens (2011). It’s a disturbing, hilarious, and affecting scene, and one of the films highlights. However, the film really finds its feet when Casper gets his food truck with friend Martin (John Leguizamo) and the help of ex-wife Inez (Sofia Vergara of Modern Family fame). It helps him rediscover his love for cooking simple, brilliant food and to reconnect with his son Percy (Emjay Anthony). His relationship with Percy is easily the most emotionally compelling facet of the film and helps it reach its true potential. The film’s use of social media, as Percy begins to tweet and facebook the locations of the food truck and create another viral sensation, is another interesting element of the film. Casper is portrayed as out of touch with the internet and the new age of doing things – it helps cement his relationship with his son whilst also showing the value of social media in the modern age for small independent restaurants and businesses (and perhaps films) to gain a following and the success intended. Whether Favreau is saying something about the state of promoting the independent film versus the studio film is unclear, but it is an enjoyable and intriguing element of the film. 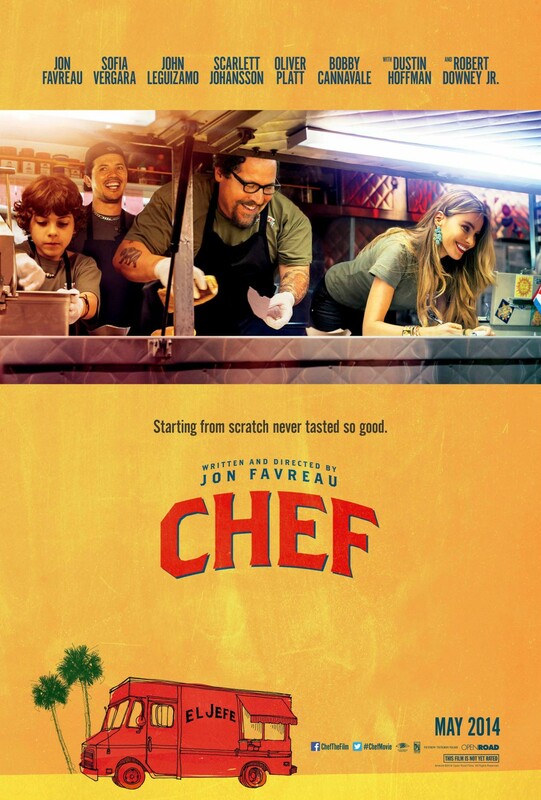 Chef isn’t necessarily a deep or important film; but it will have you hoping the characters succeed at what they want, and it will leave you very hungry. Add in lots of big names into the cast, such as Robert Downey Jr. and Scarlett Johansson, a bucketful of hilarity, and a huge emotional core, it becomes one of those films that is a genuine gleeful pleasure to watch. Recommended.